Throughout our site, we talk at length about managing expectations as you shop for and use any product. It’s important to set realistic expectations when faced with making any purchase. Fail to do so and you’re guaranteed to be disappointed. One of the big things that comes up in almost every guide and review here; is that purifiers need a bit of help to effectively remove odor, dust, dander, etc. Over the years we’ve found few better purifier helpers than vacuums (and dust mops in certain scenarios). Vacuums are a much more aggressive form of dust and allergen control than any in home filtration system can ever be. We aren’t aware of any purifiers that patrol your home autonomously seeking out dust, pet hair, and dust mites. A vacuum, while typically not automated, does its job by passing over and capturing dirt where it’s resting or hiding. The downside to vacuums is two fold. First, you are much more involved in their operation. And, second… most don’t have a good filter to trap small particles. Therefore, they are essentially fine dust, allergen, and dander relocation machines. Fortunately, there are a number of vacuums these days that do address that issue. And when you pair one with a great purifier or two (and some other good habits), your on your way to the best indoor air quality this side of a microprocessor laboratory. After searching high and low for the HEPA vacuum that we thought represented the best value and performance, we landed on the Miele Compact C2 Electro+. From keeping multiple surfaces dust free, to stowing away in a tiny corner of our closet; this canister vacuum check all of the boxes. Miele vacuums are among the highest quality vacuums on the market. They’re one of the few modern vacuums with old school reliability. We’re confident that a Miele is the kind of machine that will last for decades… something that’s really rare these days. Aside from long lasting reliability, this Miele Electro+ offers a True HEPA filter (the best in this guide). And the high quality bag helps keep that filter fresh and clean as long as possible. Overall, we believe that Miele makes the best HEPA vacuum cleaners hands down. 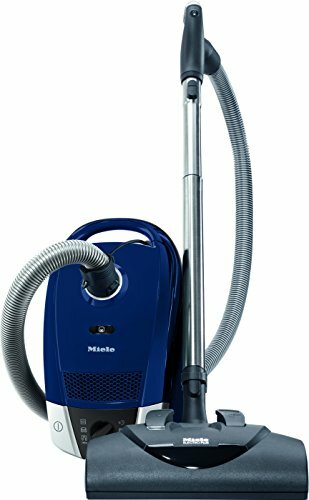 The Electro+ is the Miele HEPA vac with the lowest price tag, making it much more accessible than their higher performance models. We’ve been testing our for a year now, and have experienced zero issues. The variable suction power levels are great for cleaning delicate rugs and window coverings. And, the power head picks up everything in its path. Miele gives you a 2 year parts and labor warranty paired with a seven year warranty on the powerful 1,200 watt motor. When it comes to HEPA equipped vacuums, Miele makes the closest thing to an air purifier on wheels. We highly recommend this vacuum over anything else we’ve used or tested. We borrowed one of these from a friend to test out, and fell in love. 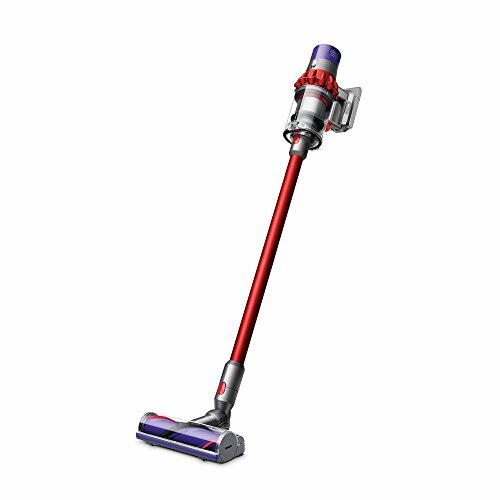 Now in full disclosure; there have been some reports of reliability issues with Dyson stick vacuums. In fact, Consumer Reports removed them from their recommended products. In our opinion that was a pretty rash decision. From an anecdotal standpoint everyone we know with one of these is extremely happy. And, online consumer reviews are overwhelmingly glowing. Pair those two things with great extended warranty programs from Amazon and other retailers, and it seems safe to buy a Dyson. It is however, insanely convenient and almost as good as those “real vacuums.” Perhaps if you lived in a studio or one room apartment this could be the sole vacuum in your home. But, for true dust and allergen control, or chasing messes made by kids and pets you’ll need something bigger. Where we think the V10 (and other sticks) really shine is spot cleanup, tight spaces, and when you just don’t want to drag a full size vacuum out of the closet. This vacuum is a great pick if you cannot pony up the cash for a Miele… and compared to a higher cost Dyson the performance gain may not be worth the extra cost to many consumers. We also like that the vacuum separates into a smaller unit to take upstairs. However, added complexity often results in lower long term reliability. Shark does have a pretty good track record… so reliability should be a minor concern. But, it’s something to take into consideration if you can afford a little more vacuum. 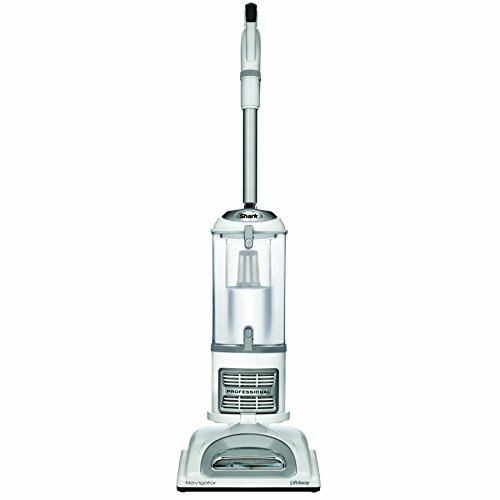 For the price though… there aren’t many HEPA vacuums that perform as well as the Navigator. 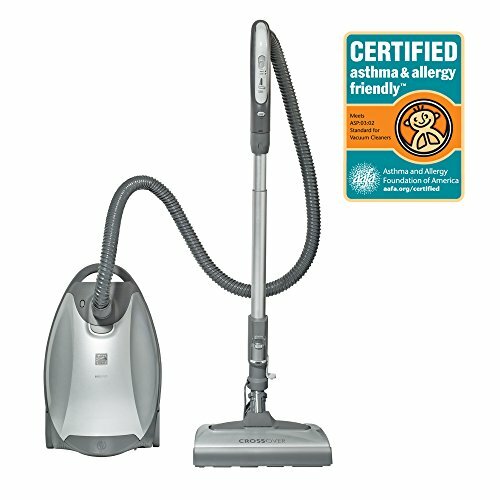 If you’re on a budget this vacuum is definitely worth a look. 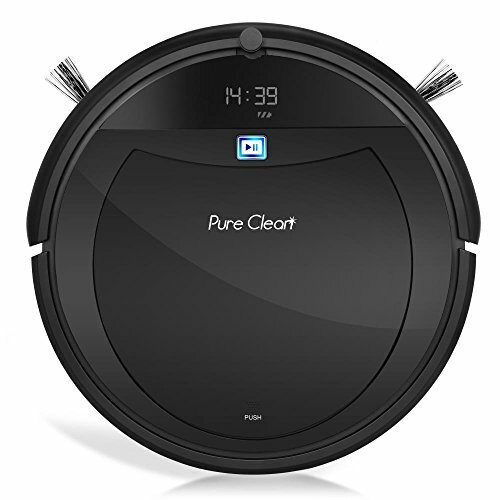 If you’re looking for a robotic vacuum this Pyle is a great value. It has most of the features you’ll see in a more pricey version, but offers a small HEPA filter to reduce the amount of dust that passes through the machine. The thing is though, with these robe vacs (of all shapes, prices, and sizes) is that a lot of dust is stirred up by the rotating brushes. Our garage Roomba is always covered in dust, which leads us to believe that its constantly driving around in a cloud of dust like a certain Peanuts character. The other cool thing about this little robot vac is that its compact. So it will crawl under couches, chairs, and shelves better than taller… more expensive competitors. Due to the fact that these machines kick up some dust we’d recommend running them while you’re away from home. The HEPA filter isn’t a huge benefit in this style of vacuum, but it should help separate dust and dander that finds its way to the bin. Finally, we would like to give robo vacs some credit in one specific area of the home. The garage. When we demoted our Roomba from whole house duty, to bathroom cleanup, to the Garage… we found that the garage is where it shines. There’s not much to damage out there, and a lot of dust comes in with our vehicles, lawn mower, and bike collection. So, if you’d like to give this dust reducing technique a go and see if it works for you… the Pure clean is a very affordable way to test the waters. It seems like every home appliance manufacturer has a “pet” version of thier x, y, or z appliance. And, who can blame them the pet industry is huge. Sometimes it’s difficult to see just what makes a “pet” version different from a manufacturer’s stand option. But, when it comes to vacuums and air purifiers the term pet usually means better filtration. Kenmore’s 21814 Pet & Allergy canister is a great example of combining pet owner marketing terms with the increased filtering capability of a HEPA filter. While the “pet” may seem a little gimmicky, we can assure you that adding a HEPA filter to your vacuum is both worthwhile and important. And, Kenmore did a great job with this vacuum. The 21814 Pet and Allergy is a great Miele budget alternative. Over the long run more affordable vacuums may end up costing more than premium machines like the Miele we mentioned above. But, we get it… sometimes its hard to justify a long term investment in something like a vacuum. After all, a product may last forever, but the company or support for its products may not. Unfortunately there may be no better example of this than Kenmore. As of this writing the vacuum remains a great option, but the Kenmore brand is in a bit of trouble. If you aren’t aware the Kenmore brand was owned by Sears… a company that filed bankruptcy in late 2018. The good news is that Sears and Kenmore, in early 2019, emerged from bankruptcy battered but not broken. Stores were shuttered and longtime Sears staple brands like Craftsman were sold off, but Kenmore’s fate looks good. At least in terms of remaining in existence. Will Sears continue to own the brand, will the warranties remain, will a potential sale to another entity improve or diminish the Kenmore name? That is still uncertain. Regardless of what transpires in 2019… the current Kenmore Elite 21814 Pet and Allergy remains a solid choice in the HEPA vacuum segment. If that changes… we’ll be sure to update this post. But, for now we’ll stand by our recommendation that this vacuum is a great choice for many consumers who care about indoor air quality.